In April 2014, Bryan was a father of five working as a lead Concierge for a hotel on the Las Vegas Strip and making $43K as the sole provider for his family. He worked full time at his job, but knew that he wanted a significant career change. In the past, he had worked in Real Estate making a good salary but had been uninspired and unmotivated by the work. This time around Bryan was determined to find the balance between making a good living and having a passion for what he did. In the 90s, Bryan briefly attended college for Management Information Systems, where he was introduced to programming. He loved his programming classes, but didn’t enjoy the rest of the curriculum and dropped out to join the United States Air Force and life continued. 16 years later, faced with another career crossroad, Bryan decided to pick up where he left off with programming. He chose Treehouse and launched himself into the courses. 10 months later, after dedicating his free time to learning, Bryan landed his first job as a UI/UX Engineer. 6 months after that, he moved on to work at a local startup where he now develops the UI for a daily fantasy sports application. 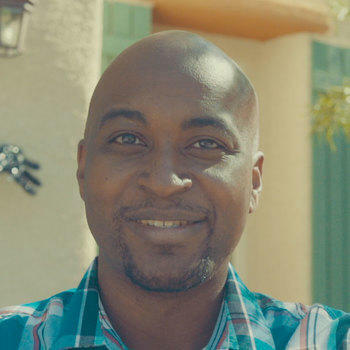 The work is not only inspiring for Bryan, it also came with a significant salary increase, which in turn has given him the opportunity to move his family into their dream home. But for Bryan, it’s not about the money. He now gets paid to do something he’s passionate about, which has given him the opportunity to change his own life and those of his family as well. We asked Bryan to share his story with us. The long and short of it is that up to February of this year I was working as a lead Concierge for a hotel on the Las Vegas Strip and made $43K as the sole provider for a family of 5. I got my first professional programming job at the end of February as a UI/UX Engineer for a local airline company (Allegiant Air) and got a bump in pay up to 55K. After 6 months in that position, I got an offer from a local startup company to come and work on their brand new, greenfield product, building out the UI for a daily fantasy sports application. I accepted and that bumped my pay up to 70K for the first 90 days with another bump after that. In less than 8 months, I’ve increased the income for my family by 63%. But it’s not all about the money. I go to work every day and can’t believe that I get paid to do what in the past I had to scramble to find time to study for. I’m a father with kids at home. I was working my concierge job full-time, and I knew that I wanted a change in my life. I can truly say that Treehouse had a huge hand in me changing my life and the life of my entire family. A little backstory. I went to college the first go round in 1999 for Management Information Systems with and emphasis in Programming. While I loved my programming classes, I was totally not into the core course classes and it showed. Long story short, I wasn’t ready for college and ending up dropping my GPA to the point where I lost my academic scholarship that I had earned out of high school. I dropped out and ended up joining the United States Air Force and spent 4 years overseas in Okinawa, Japan working on Avionic systems for F-15 fighter jets and traveling all over the pacific region. I spent the last year of my 5 year term here in Las Vegas, NV and decided to stay here when I exited the military. I’m from a small town in Mississippi called Soso (population 379 and they are all my cousins) and let’s just say there’s not much industry to go back to there if you’re looking to build a career. I had to figure out what I was going to do with my life. I started selling real estate here and did really well, but I learned a valuable lesson. Although I was making more money that I have ever made in my entire life combined, I wasn’t happy. I was burning myself out working upwards of 18 hrs/day in order to make that money. That taught me that there had to be a balance between making a good living and having a passion for what you do to earn that good living. I decided to go back to school for one of my three passions (cars, music, and computers). I had already done a little college for computers and I didn’t want to work on cars for a living even though I enjoyed it as a hobby, so music it was. I went to the local Art Institute for a BS in Audio Production. My life changed however during the course of school. I had my first son and had my daughter on the way by the time I reached my last class for graduation. This threw a monkey wrench in my plans of moving out to L.A. and “bumming it” for 6-12 months before I could start making money recording music. Also while I was in school, I picked up the job on the strip to help cover the bills and when it was time to graduate my career advisor at school told me that the entry level audio positions locally in town paid less that what I was making working at the hotel on the strip. So I was at another crossroad. I decided to get back into programming. I knew I didn’t want to go back to college for it after just going for Audio Production, so I looked at what online options were available. I started off with YouTube Videos, and then on to Lynda.com. While I loved Lynda.com, I found it very frustrating that I just “didn’t know what I didn’t know” and thus I didn’t know the order of what courses I should be taking or for that fact Which courses I should be taking. That’s when I found Treehouse. It filled the void that Lynda had with the nicely laid out tracks that walked me through the courses that I needed in the order that I needed. I jumped in full force with learning. It wasn’t easy. I had a lot of time constraints with family duties and full-time work. I would go to work early and sit in the dining hall to study, or I would head to local lounge after work to do the same. My lady got frustrated with me “always being on the computer” because she just didn’t see where it would get me. But I keep going. I started asking local independent contractors and small businesses if I could build their websites for them at no cost as long as I could use them in my portfolio. This gave me real world projects to work on to gain the necessary experience. This month I moved my family of 5 from a tiny 2 bedroom condo into a 3000+ sq ft home in an awesome neighborhood. My lady in reflection told me “I’m sorry I would give you a hard time for being on the computer so much when you were always studying. I get it now of course!”. I can truly say that Treehouse had a huge hand in me changing my life and the life of my entire family. It’s a great platform for learning. Every time I run across a new technology, I wish that Treehouse had a course on it because I learn the best using the treehouse way of teaching.